A modern society novel about the gossipy lives of well-off parents in New York City’s Upper East Side. When Philippa Lye’s shadowy past comes to light, an insulated society is forced to confront the rot at its core. 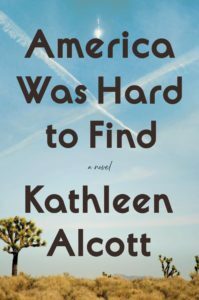 ...[a] bristling, funny and ultimately savage novel ... Macy has clearly observed the world of aspiration and failure up close, which is why Mrs. has such a tonic air of authenticity. Within this novel, there’s almost an entire treatise on the decorating habits of the wealthy — and not so wealthy ... The boldest thing about Mrs. is that it focuses on the depths of women’s experiences as wives and mothers ... Mrs. could easily have been a glossy, rushed novel about bitchy, bored housewives nursing social resentment. 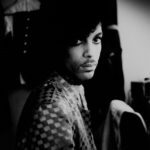 Plenty of those have been published, passing from memory as quickly as the pages fly under your fingers. But Macy hasn’t written that kind of book. 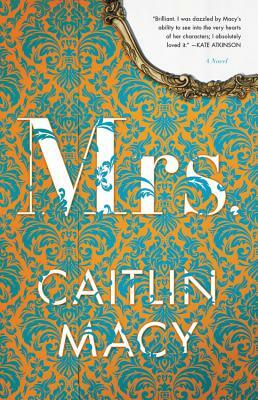 Mrs. is a novel that suffers — or benefits — from so many comparisons that it’s hard to categorize. Here we have the tiresomely familiar — or cattily amusing, take your pick — New York City mothers jockeying for their offspring’s position in primary school, as they speculate about a newcomer’s provenance, worry about an unsavory influence, lobby for an invitation to a party that will prove a) excruciating, b) hilarious or c) enlightening … As Caitlin Macy brings these characters into conflict, ostensibly because of differences of class, what registers instead is how conflicts of class are really matters of character — at least in this case … Mrs. gives us two classes of fiction: one a character-driven drama, in which people make bad choices or stupid mistakes and have to pay; the other a social comedy of sorts, where the difference between old money and new supplies the conflict and determines the outcome. Macy throws her characters together in the crucible of a small, tony Upper East Side preschool. The novel opens brilliantly, with the makings of a terrific screenplay … Mrs. is fueled in part by scorn and Schadenfreude, but it might appeal most to the self-absorbed strata Macy mocks – or those who found Wednesday Martin's Primates of Park Avenue fascinating. The plot relies on too many small world coincidences, some of which are easier to buy than others, but it'll keep you turning pages anyway … I have mixed feelings about the ending — I'm being careful not to say too much — which plays with readers' expectations and hopes. What did you think of Mrs.?